Climbing up a 7,000-metre-high mountain is not a piece of cake. Body and mind need to acclimate.That´s what experts in climbing call it. Acclimating is telling your body and your mind that they are going to suffer because there will be less oxygen each metre you climb up and it will be exhausting. They are also going to suffer as temperature will fall down several degrees below zero every day and that will hurt. Acclimating means knowing climbing up a mountain is a painful challenge, a commitment with Nature and the human ability of surpassing oneself. Barquero is not alone in this climb. His Sherpa and three more climbers are with him. They are an international team driven by a common passion: the mountains. We are starting to acclimate our body to altitude. No problem so far. In the last months, I have tried to focus my body and my mind on this objective, taken part in races, done climbs, trained with the Viva Sport Hotels technical team, changed my diet and had good times with my family and friends. I think I am ready for my passion to guide my feet. My lungs are also prepared to breath at 7,000 metres high. 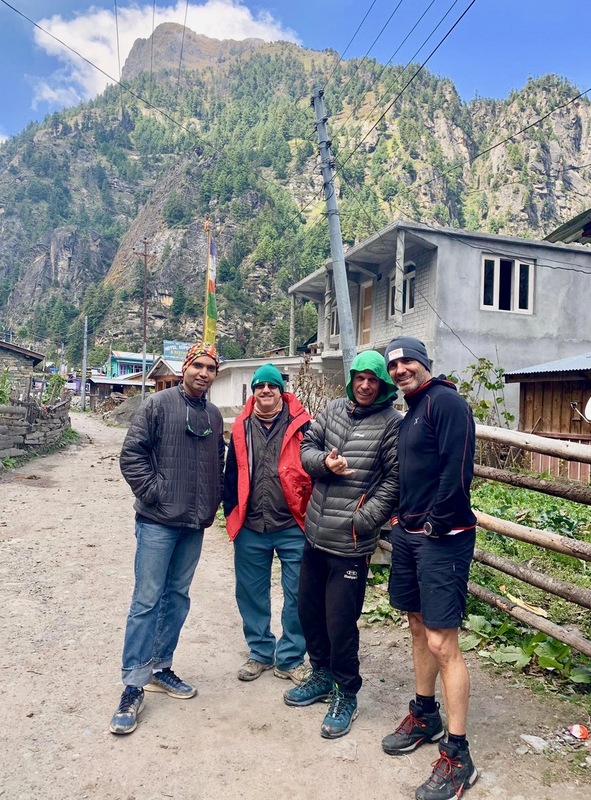 In the end, four of us will try to reach Himlung Himal’s summit. We are a diverse group of people. I was struck by one of the team members right from the first time I saw him in the gardens of the hotel in Kathmandu. A muscular, over-fifty, platinum-blond-haired man who was born in France and has been living in India for 28 years now. I guess that is the reason why he no longer uses the name that shows in his passport. His real name is Albert, but he likes to be called Gopal. He is an honest and experienced mountain climber with a sense of humour. I think he will be the most loved and trustworthy mate when we start running out of oxygen up in the mountains. Dean is American, from Phoenix, Arizona. He is the most experienced of the group. 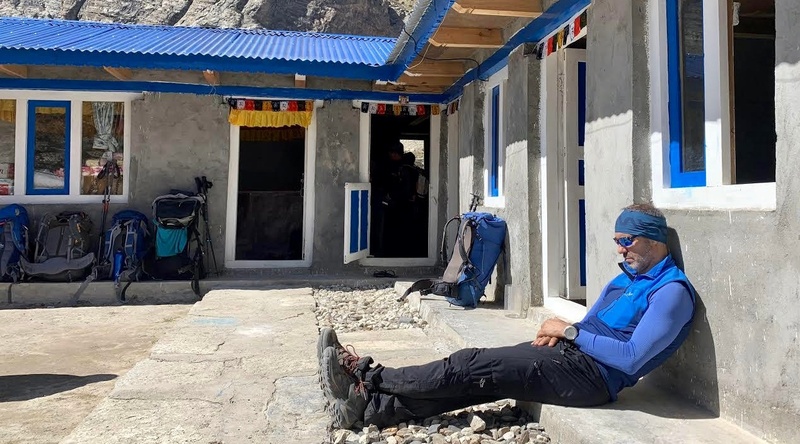 He is both easy-going and responsible at the same time and seems to take very seriously everything he does in life, even climbing a 7,000-metre-high mountain. And finally, Venkata who was born in India but has an American passport. He´s been living in California, in Cupertino to be more precise, for nearly half his live. It’s not difficult to guess he is into the technology business. He is open and talkative and next year he wants to climb Mount Everest. I have the feeling he’s missed some previous steps, but I am convinced passion and determination will take us to the summit. The Internet is gone. Technology is somehow incidental in this part of the world. Even electricity is rare here. We hold on to the Sherpa’s extremely expensive satellite phone and we hope these lines will reach you little by little. Thanks Hotels VIVA, Foracorda, Alcudia Mar, Ola del Mar. Thanks for being there.